Walking Amman was a magical experience. People were friendly and welcoming as we visited the King Abdullah Mosque and various street vendors throughout the city. We could have had another buffet dinner at a fancy hotel, but our clever guide Ali decided that we would enjoy a meal out with the locals for our final day in Jordan.
. It is a very busy place during the Toronto Film Festival. Every movie star that comes to the city stays here. We never thought that we'd stay in a Four Seasons ourselves let alone one of the top hotels in the entire Middle East. We were greeted by Halla upon our arrival and dinner was set for 7:30 pm. It was a delicious 4 course meal of seafood, pastas and decadent desserts. Oh yes, we could get used to living like this. Even though the Four Seasons Amman is a luxury hotel, we never felt the stuffiness or uncomfortable feeling you get when you sit somewhere you don't belong. Everyone is relaxed and welcoming; the guests and staff included. The Four Seasons Amman has a reputation of being the best hotel in Jordan and it lives up to it. What we loved about it was how, yes, it is well known around the world, but it had a definite Jordanian feel and atmosphere. We had the best of both worlds, a little bit of home with a Middle Eastern Flare. We made sure to wake up early to use the pool and spa before setting out on our Jordan adventure, but it was difficult because we didn't want to leave our cozy yet spacious room. It was time to venture out and see the country. We had amazing adventures in Jordan from Canyoning in Wadi Mujib, Swimming in the Dead Sea, Visiting Petra, A Safari in Wadi Rum and Hiking through the Dana River Biosphere Reserve. We felt that we got a taste of the best of what the country has to offer and we can't wait to go back one day to explore some more! Upon our return to Amman, we were eager to see how people lived in Jordan's largest city. Our driver Mahmoud and our guide Ali had gotten to know us quite well over the course of 10 days and knew that it was time to take us out of our luxurious bubble and into the streets of Amman. Fact: Amman is one of the oldest continuously inhabited cities in the world. 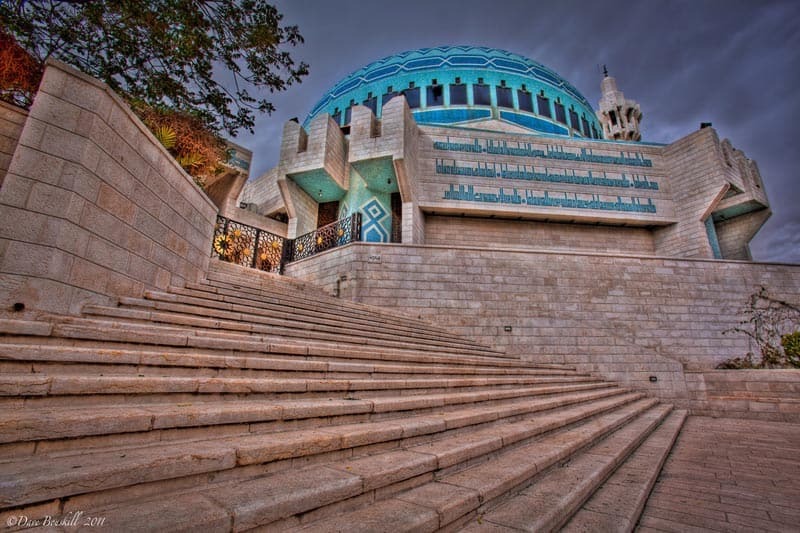 We started by visiting the King Abdullah Mosque, it is one of the most famous mosques in Jordan. Ali and Mahmoud were quick to point out the large church right next door. They stated that the Jordanian people get along with each other and different religions live in peace. I thought is was a wonderful sentiment. While people are protesting a mosque in New York, others around the world are opening doors and practicing tolerance. We drove around the different districts and checked out the higher end shopping areas and cafés where the young and hip meet on Thursday nights, but it was our arrival to the market that made us feel like we were a part of the city. It started with a stop for dessert. Ali always eats dessert first. If he had it his way, he'd skip the main course completely and only eat dessert. That is unless his mother is cooking. She is the best cook in Jordan. We stood in the rain outside a crowded and small stand named Habibah Sweets where we ate the delicious and filling Kunafa dessert. This place is one of the most popular sweet shops in Amman and we could understand why. Now that our stomachs were filled, we were able to walk along the streets to enjoy the hustle and bustle of the city. People were warm and friendly and we couldn't believe how open they were towards us. When we strolled through the market, men asked Dave to take their picture. The storefronts were decorated with Shishas and colourful headscarves. There were handcrafts and jewellery on display and people walked down the street smiling and chatting, it seemed like Mahmoud knew everyone in the city as we passed. We met his boss and other shop owners who invited us in for tea. 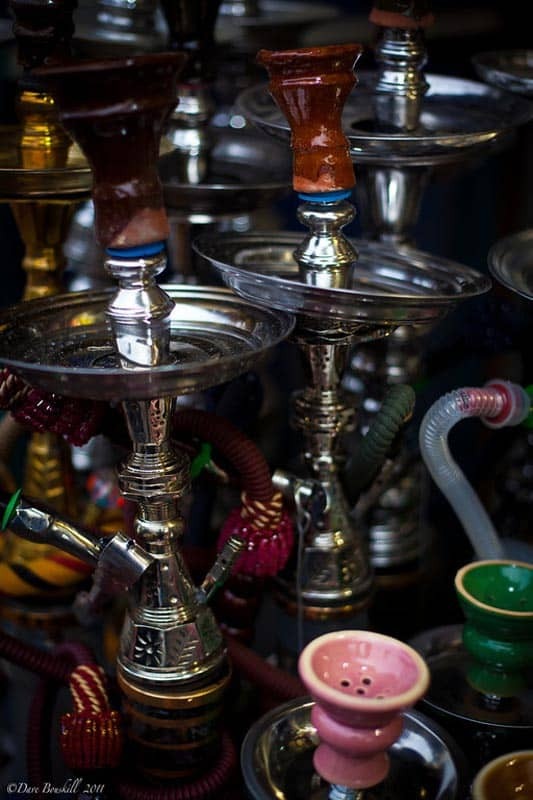 Shisha's were in almost every store front. We decided to pass on the tea and move on with the tour. We had a constant guilt of keeping Mahmoud and Ali away from their families for such a long time. They put in 14 hour days with us during our time in Jordan and we always had the thought in the back of our heads to move things along so that they could get home. Not that they ever made us feel that way, it was us worrying for them. In the West People wouldn't think of working so late into the night unless they were getting paid their overtime above and beyond their salaries. In other cultures we always have a difficult time grasping how hard people work and how long they are away from their families. It is something we will never get used to and something we will always do our best to help send people home a bit early if we can. We ended off the night at the Hashem Restaurant an outdoor café located in an alleyway packed with patrons. When we arrived, they busted out a table for us and quickly brought a feast of food. I was still full from the Kunafa and had a difficult time putting back all that food, but it was so delicious, I couldn't say no. It is the oldest restaurant in Amman and is The King himself has eaten here and I can see why, we were eating a feast made for a king! Our night with Ali and Mahmoud turned out to be one of the most memorable moments for us in Jordan and it was a perfect way to end our time there. We had ups and downs in the country, but one thing that was never down was the people we met, the friends we made and the scenery we saw. For a different perspective of Jordan, Visit Solo Travelers, Shopping in Jordan, Souvenirs and my Wish List. 71 Responses to "Walking Amman – A Walking Tour of Jordan’s Capital City"
Petra would be beautiful in Autumn I think. We’ve never been to Israel but would love to go there sometime soon too. Recently I’ve been to Jordan !! We started in the capital then headed up north then down south. We’ve hired a driver called Which I recommend, they call him the king of tourism. He has been working in the industry for 20 Years. We took a 7 day tour with Nick, and it was great !! we hadn’t charged us much comparing to his services. You pictures are really nice! I saw hummus in your meal…I can totally understand when you say you enjoyed your feast! Hope to visit Jordan one day, soon! Thanks Anjl. The Food in Jordan was incredible. We loved all the dips, fruits, nuts…mmmmm. You must go! It would be helpful to share more about costs and logistics for those of us visiting Jordan who are not on a 5-star trip sponsored by the Ministry of Tourism. The various trips you took are quite costly, especially for the solo traveler, and the logistics involved in arranging a trip can be challenging and frustrating. Amman has heavy traffic so it’s also a challenge, and a bit stressful, to get around – especially as a pedestrian. It is an amazing, beautiful place with much to offer, as your blogs indicate, but your trip was definitely an idealized experience. Hi Nancie, Jordan is an amazing destination. There are beaches, diving, hikes, the dead sea, amazing ruins, ancient civilizations and incredible people. It really is a destination all to itself and doesn’t need to be tacked onto a Middle East itinerary that so many people believe. Let us know if you go and let us know how you like it. Dave n Deb these photos are absolutely stunning! 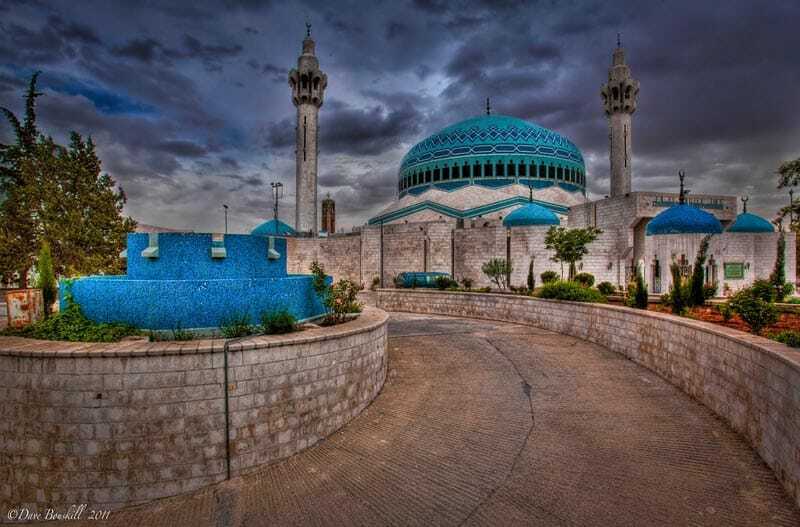 Love the colours in the mosque photo. GREAT pictures!! I love Jordan- I’m going back next week and am sooooooo excited! I’ve only been in Dec/Jan, so I’m excited to come in the summer where I won’t freeze, lol. It’s Jerash, actually, that boasts an unbroken chain of human occupation that dates back more than 6,500 years. Although, Amman has been continuously inhabited for a long time as well, being inhabited by several civilizations, starting with the Neolithic period. 100 years ago, Amman was very small, and not comparable to what it is today obviously. It was a village, as opposed to the vibrant, fascinating city it is today. Thanks Guys for clearing that up. I missed the previous comment my bad:-) It wasn’t until I saw your reply that I saw Mabsootah question. I was just stating that maybe it was the area in general that has the continuous chain of civilization. Since Jerash is so close to Amman, maybe historians think of them as the same? I’m not sure. I thought that Jerash was abandoned an un-hinhabited for awhile. But then again, people have lived in the entire area for centuries, so it probably wasn’t eh? It was their modern capital that only started in the 19 century. Maybe it was the area that has been inhabited for so long. Between Jerash and Amman there is thousands of years of civilization, but maybe it seems that neither one is continuously inhabited. I am still researching, but just wanted to reply. Very cool- thanks so much for that link! I should look up that more as well- I’m sure someone has always lived there, but it’s neat how they really define the modern from the older parts! 🙂 I remember reading somewhere also that they really considered the 7 Roman cities (Amman, Umm Qays, Jerash.. and then a bunch in Syria) kinda’ like one big metro area, so that’s probably part of it too. I just looked- they took down the Centennial webpage, but they have something about it here – http://interruptionsblog.wordpress.com/2009/10/08/ammans-centennial-website-narrating-a-100-years/ 🙂 I guess it is celebrating it being the modern city, but then I get confused because I always read that nothing really happened until after WWI? Sounds like you had a great time! 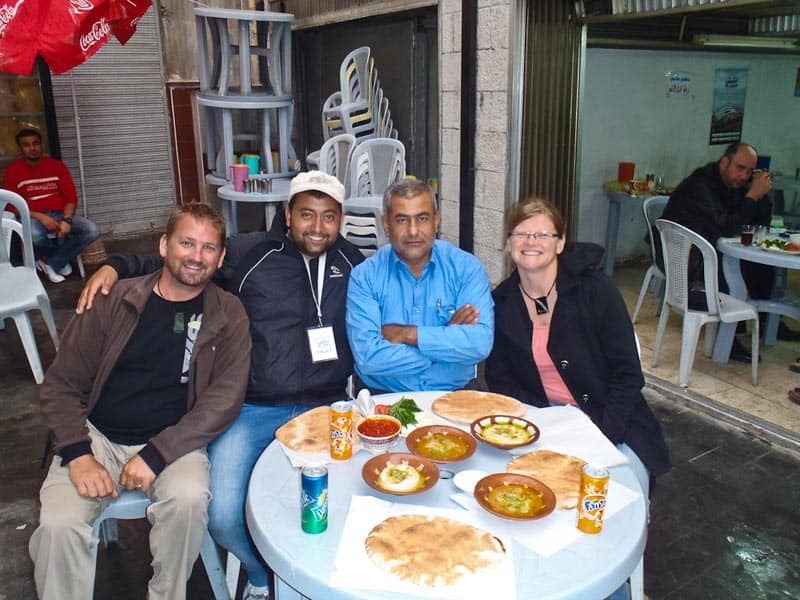 I was in Amman a couple months ago and saw a lot of great sights, but sadly missed out on eating at Hashem. I’ve heard it’s great! You will definitely have to go Hashem when you go back to Amman. 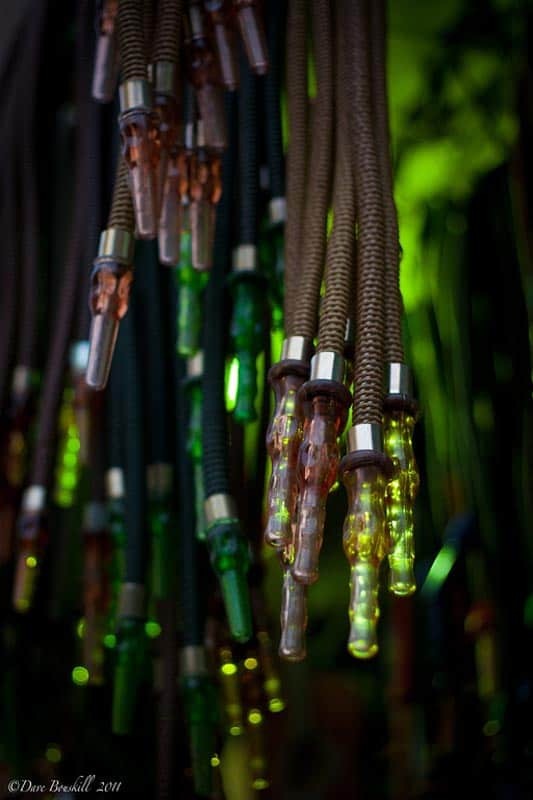 What a great trip – sounds like such a cool place! 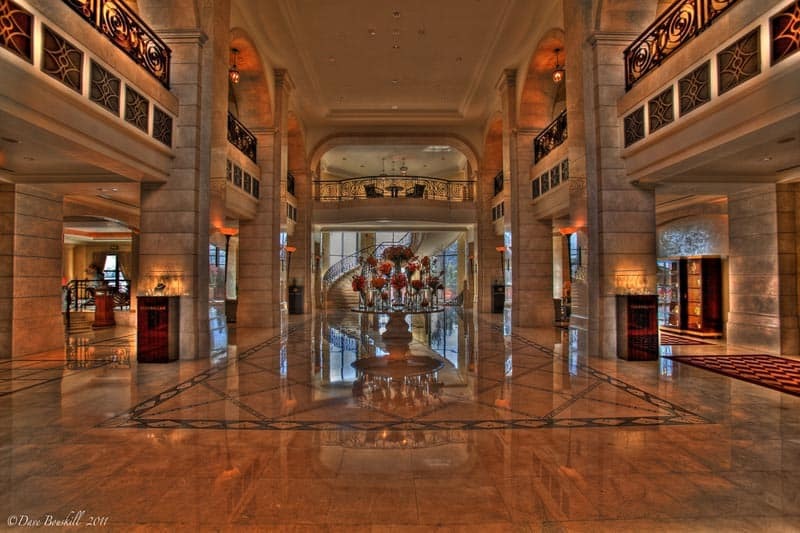 Hard to beat the Four Seasons, huh?… I love the lobby shot. cheers from Amman, looking forward to having you in our town again..
You are right FADi, standing in that Alley with everyone else dressed from tailored suits to jeans or robes truly felt like an authentic Ammani experience. We will definitely be back. Jordan is on my list as well. Even though the Jordan Tourism Board has hosted so many of us travel writers of late, your photos provided a new perspective on the country and makes me want to go all the more. Thank you Barbara, we appreciate the compliment from you it means a lot. We definitely wanted to give a different perspective to our time there rather than just listing off the sites. It is always the people that make a place and it was our time at Feynan Lodge when we met Mohammad’s family https://theplanetd.com/feynan-eco-lodge-dana-biosphere-reserve-jordan and here where we got out to meet the people that were stand outs and special moments. Getting away from the hotel buffets and from behind the high secure walls of the hotels is where the real travel begins in Jordan. Terribly jealous of the both of you for being able to do this trip, but they’ve picked a great duo to do it. Excellent photos, as always. 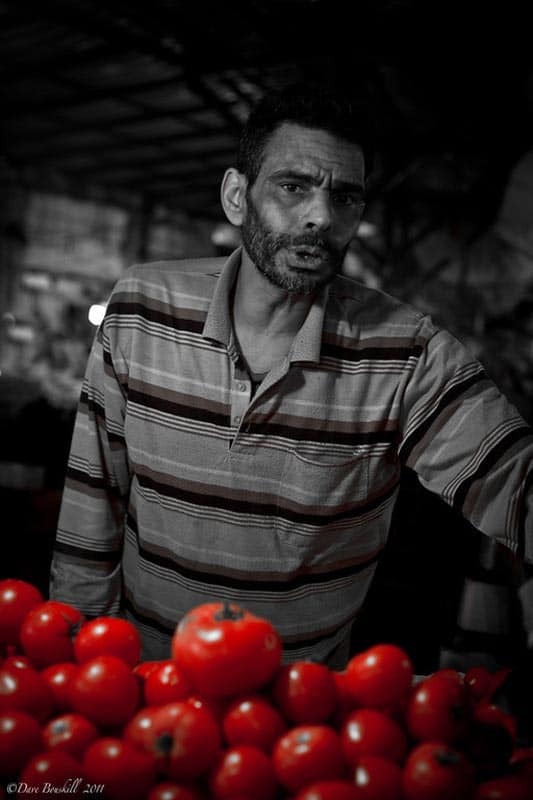 I especially like the man in the market with the ripe red tomatoes. Great pics you guys. Really looks like you two had such a blast there during your visit. 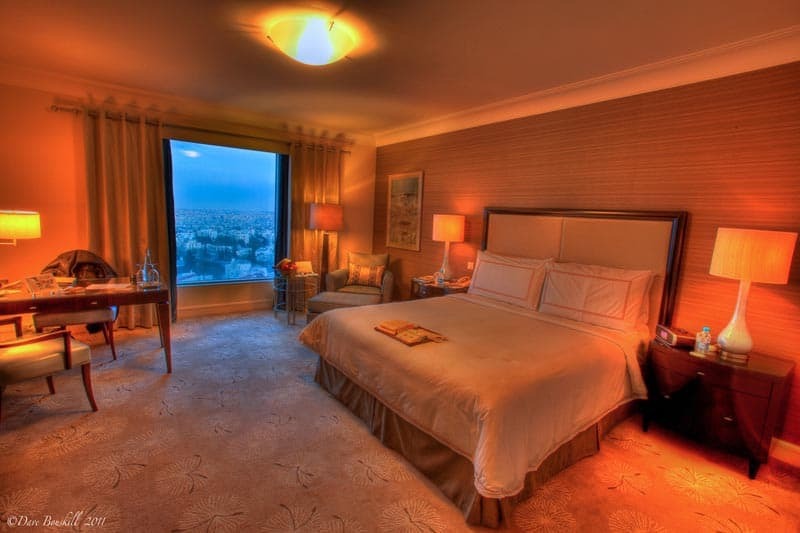 Four Seasons Amman — Awesome! 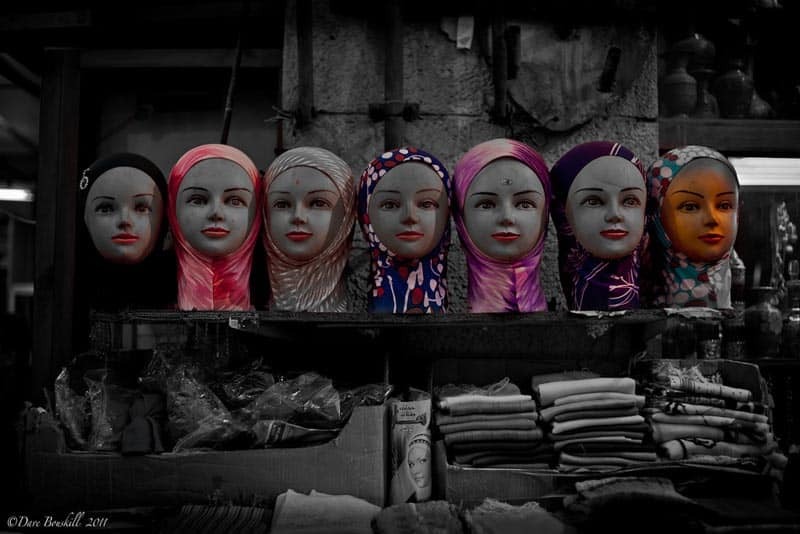 Heads with scarves — Awesome! Blues on that mosque — Awesome! Great post — love you pics! Haha, Raymond, that is the best comment EVER!!! Hope you make it to Amman soon. Dalene, thanks so much. I hope they like the posts, but I have to say, we aren’t writing about our experience to please the tourism board, we are truly writing about the great time that we had there. If we didn’t like Jordan we would definitely be saying so and certainly not be writing so much about it. We found the country to be such a spectacular destination that we really enjoy sharing it with people. Thanks for stopping by, we really appreciate the comment. Yes, Amman is an amazing city and we are looking forward to exploring more and coming back. Like we said in one of our previous posts, we got a taste of the best of Jordan and when we come back we can stay in each place longer to really explore and get to know the culture and the people. Thanks again! Such gorgeous photos of Jordan! Great photos as usual. And if there’s anyone who can make travel adventures look so much fun, you two can. Hats off! Again. Aww! Not only are your photos as out-of-this-world as always, but you guys look like you’re having so much fun! Thanks Abby, we did have a lot of fun. It helped that our guide and driver Ali and Mahmoud were so friendly and caring. Wow – I never saw the fancy side of Amman!! A whole other world! Looks like the last pic was form Hashem…yum! You guessed right Sherry. One of the best eats in Jordan! I went through the country feeling stuffed every day. Each meal was an event. I have to agree with other comments, you do make Jordan seem very safe. It is great to read about experiences people have in countries we may feel are unsafe for travel. That label is not always true. Thanks for sharing your wonderful journey. The pictures have been amazing. All the colors and textures definitely make me want to add Jordan to my list. Thanks Debbie. It is true, the colours in Jordan are beautiful. It is very contrasting against the desert landscape. I am glad that you are putting it on your list of destinations to travel to, you won’t regret it. Looks like you guys were livin large for 10 days! Great photos. It looks like a blast! Love all the different colors in your photos- and I really want to try that “sweet” thing you are eating! Hey Jade, the kanafah was delicious. 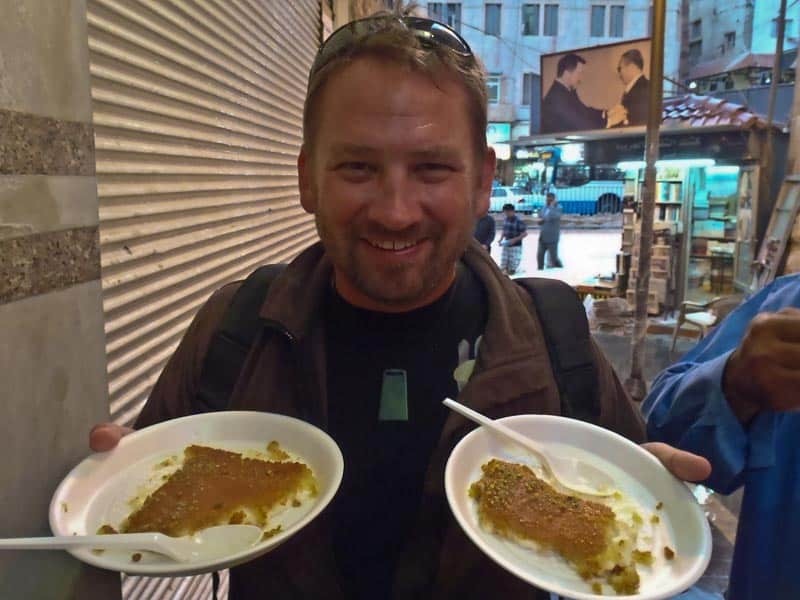 It really was our favourite dessert in Jordan. Beth and I really enjoyed taking this stroll with you guys. Love the shots and write up! Very true Lori. When there is a crisis in the world, it is a great idea to get people over there to see that everywhere isn’t affected and Jordan definitely didn’t. You said it perfectly…we’re all gaga for Jordan! Sounds like you two really had a great time 🙂 and of course all of Dave’s photos are gorgeous! I love the blues! Gorgeous photos, I’m so curious about Jordan, can’t wait to go myself. Angela, you will love it. We had heard about how incredible Jordan was, but to experience for ourselves we really got to see just how beautiful the country is first hand. And the people are kind and warm and welcoming. What a gorgeous and fascinating place! I have some reservations about traveling to that part of the world but you make it sound so safe, it’s really tempting! Jan, you won’t regret it. We have been through the Sudan, Egypt and Jordan and can honestly say that the people there are the most welcoming and friendliest that we have ever met. It is a fascinating land filled with rich history. I was amazed every day that I was there. Amazing trip you have! I also enjoyed Amman albeit very briefly. It’s great that you get out on the street to see how the city actually lives especially in Downtown. There’s so many juice bar which is great but to be honest I didn’t find the food as tempting. Maybe I went to the wrong places and ate very cheaply. Great report though! Hi Amer, Downtown is very lively and exciting for sure. I can honestly say that I loved the food. I looked forward every morning to breakfast. Olives, breads, spreads and yogurts. MmmmMmm. I want some now. It was some of my favourite food on earth. But I understand it isn’t for everyone. We are in the minority of the world when we say that we don’t like Indian Food. I can’t stand it, and people think I’m crazy. MIddle Eastern, Ethiopian and Thai Food are now my favourites in the world! such fantastic photos of Jordan, keeping coming we need all the vistors we can at the moment. Jordan is such a stable, peaceful and beautiful country but we are suffering from the current situation in the region. But with the help of great folks like you we will prevail. Thank you Laura and yes, we agree. People shouldn’t be afraid of going to Jordan. It is one place where you don’t have to worry about your gear or luggage in the car. We left our cameras and computers in the truck often as we went around exploring and we never worried once about someone breaking in to steal anything. We have never felt more relaxed about our valuables.